Palmer Brand Napkin Holders & Napkin Dispensers - Please browse our extensive collection of napkin holders and dispensers. 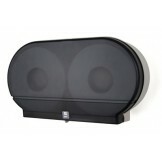 Our selection includes table top and counter top napkin dispensers and holders. Our Naphin Holders & Dispensers are MADE IN AMERICA! 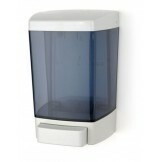 We have the most value-added napkin dispensing equipment available. 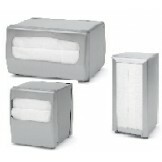 All of our napkin dispensers are made in the America and are subject to strict quality control processes. Napkin Holder Dispenser | Palmer Fixtures Brushed Steel Napkin Holder The Palmer Fixture Tab..
Low Fold Napkin Holder Dispenser | Palmer Fixtures Brushed Steel Napkin Holder The Palmer Fi..
Mini-Fold Napkin Holder Dispenser | Palmer Fixtures Brushed Steel Napkin Holder The Palmer F..
Full-Fold Napkin Holder Dispenser | Palmer Fixtures Brushed Steel Napkin Holder The Palmer F..
Countertop Full-Fold Napkin Holder Dispenser | Palmer Fixtures Brushed Steel Napkin Holder T..
Countertop Low Fold Napkin Holder Dispenser | Palmer Fixtures Brushed Steel Napkin Holder Th..